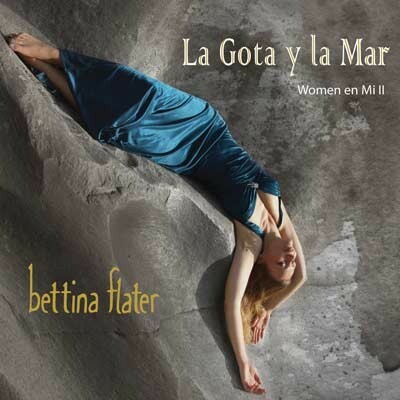 Bettina - Women en Mi II - La Gota y la Mar in Music is made for Women and Men . It is marked as and weighs about 1.00 lb. The latest album, La Gota y la Mar, explores the encounter between Spanish guitar and a Nordic voice. La Gota y la Mar is an innovative and fascinating fusion of flamenco, Norwegian musical traditions and English folk rock, all put together in Bettina's distinctive and beautiful manner. "I want to build bridges between different cultures and music is the perfect means to do so. I have always felt that flamenco and Norway were like oil and water, but through this project I discovered that it was surprisingly natural to find connections." La Gota y la Mar is the second album in a series of four, which are dedicated Bettina's female idols. La Gota y la Mar means "the drop and the sea, inch in which water is one of the four element which characterizes each album. Several renowned artists have collaborated on the album, including flutist Jorge Pardo, singer Sandra Carrasco, Flamenco dancer Karen Lugo and bass player Yelsy Heredia.